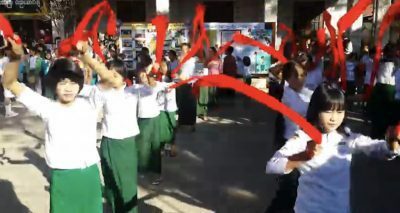 The European Union (EU) will assist Myanmar in the education sector to the tune of US$252 million dollars. This news is widely appreciated because State Counsellor Aung San Suu Kyi is intent on increasing the living standards of the people of Myanmar. Hence, it is essential that the next working generation is given the chance to flourish and the same applies to the generation that will follow. Therefore, while EU support isn’t directly related to the above comment, it still falls in line with the objections of Aung San Suu Kyi. This relates to focusing on ending many protracted conflicts, developing the infrastructure, safeguarding democracy based on past negative history, providing the younger generation with greater future options, and other important areas. Indeed, the above angle is very important to Myanmar because this nation wants to strengthen ties with nations throughout the world. Equally important, Myanmar wants to strengthen ties with important democratic nations and powerful blocks. After all, democracy needs a chance to succeed in Myanmar. Therefore, international support is needed to assist this transitional period that is blighted by internal and external factors. Nations like Japan will welcome the educational approach of the EU because Prime Minister Shinzo Abe supports a different nuance to assisting Myanmar. In other words, Japan believes that economic development and support will assist progressive forces inside the nation. On top of this, Japan understands the virtues of Aung San Suu Kyi and politicians that seek a bright future for Myanmar. Overall, Myanmar seeks to strengthen regional ties and to improve relations with Northeast Asian powers. Hence, China, Japan, and South Korea all seek to increase trade with Myanmar and to help in an array of important areas. Similarly, nations like Singapore continue to invest in Myanmar. However, Myanmar also seeks to strengthen ties internationally outside of Asia and this notably applies to the democratic world. After all, this nation seeks to strengthen democracy internally and to tackle important issues related to the constitution, business law and trade, the infrastructure, and ending protracted conflicts that are burdening the nation.